If only it still existed. 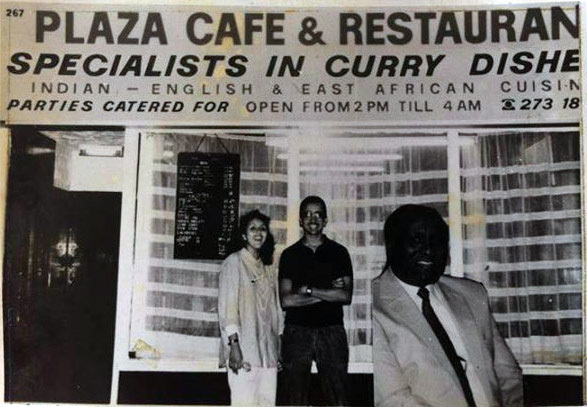 A legend in the 1970s, this small Somali café, run by Charlie Ali, was open until 4 am, serving a range of simple curries at modest prices. At the height of its popularity, the speciality was Chicken Biryani which came with very yellow rice, raw onions in a tomato paste, and the special sauce. This was ordered as hot, very hot and suicidal. Apparently they also did a beef version, but there seemed some doubt about the provenance of the beef, so chicken was the safer option. In order to add to the Biryani lore I recall the onion dish had a red spice paste on it. The infamous sauce was a thin grey/brown (khaki?) gravy, possibly of lentils and maybe other vegetables, with a layer of iridescent oil floating on top. It had a red glow, I think, but that may just be a false alcohol induced memory. Anyway, the hotter the sauce the thicker the layer of red oil so I suspect it consisted of oil infused with red chilli – the more the hotter! We often joked about the chicken being Alsatian. 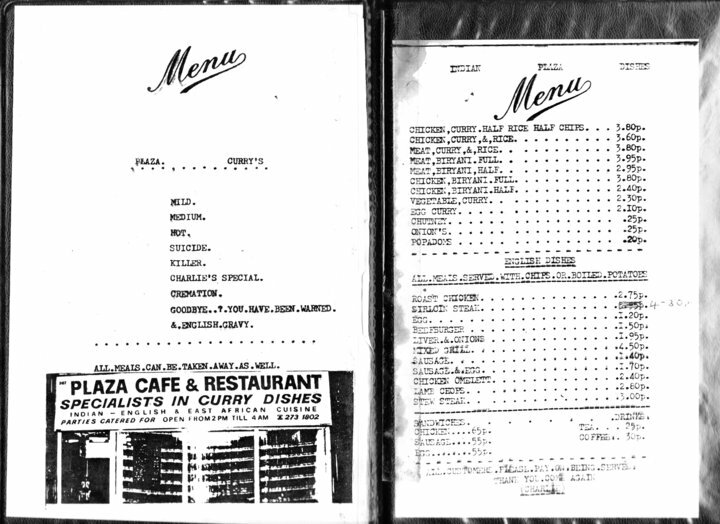 A 9 shilling portion was enough for 2 people with the chicken and rice being served together in a large pile on an oval platter. Happy days! Not for the faint hearted, but loved by its regulars. There’s a new place opened now, run by Carlie’s daughter Farida and her husband, called Buzzrocks. 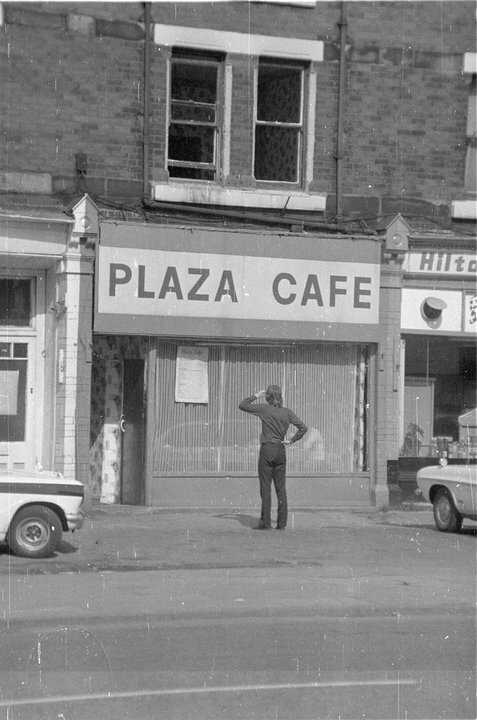 I used to eat there regularly in the mid 70’s as a student. As I recall it there were six strengths of sauce: mild,medium,strong, extra strong, suicide and killer.I used to like strong (seemed to have extra flavour and complexity!? ), but never tried the hottest three. People who had taken drink to excess used to do silly things like drinking the sauce for a bet. We were never sure whether it was actually chicken, but I never had any issues after eating there, and Charlie was a lovely character. The rice was very yellow (turmeric rather than saffron I guess!) Excellent poppadoms too.